How do you become a pediatric dentist? 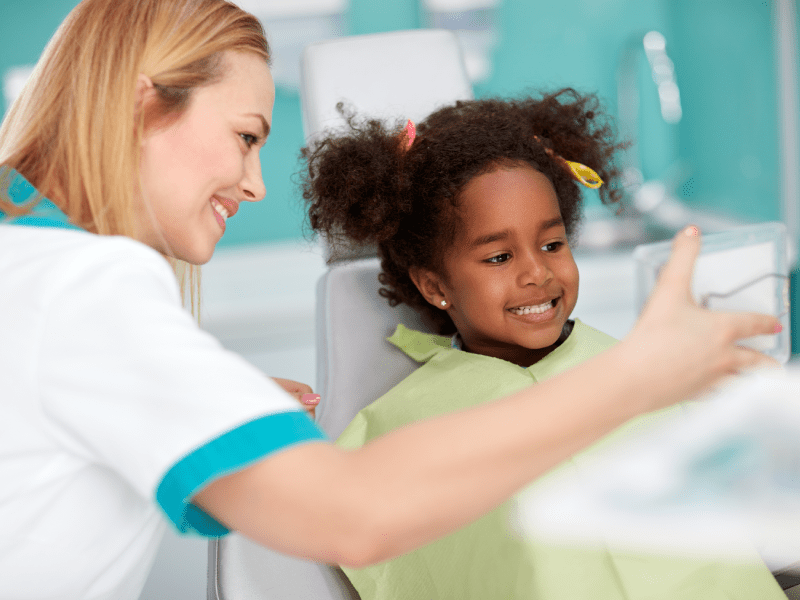 Pediatric dentists specialize in providing oral health care to children from infancy through their teen years. Think of them as pediatricians for your teeth. Pediatric dentists (sometimes called pedodontists) can also play a vital role for children who have special needs, prefer a gentler touch or have unique oral health care circumstances. Interested in pursuing a career as a pediatric dentist? Use this infographic to learn how to become a pediatric dentist. I did not actually realize that there were so many steps to becoming a pediatric dentist. However, I can understand why it is important to take care of things like getting the proper license. After all, you will want to make sure that you’ve received the proper training and education before you work on real kids. That is really interesting that pediatric dentistry requires special training and education. That sounds like something that I would want to have in a dentist for my kids. That way I know that their teeth would be well looked at since the dentist will have been well trained. That would be nice to have a gentle touch at the dentist. Maybe I should take my baby to the child dentist. Then I know they will be gentle. That is nice that pediatric dentists can help children with special needs. That would be something I would want to have for my child. This way, they wouldn’t be scared of the dentist when they need their teeth worked on.